The holidays are over, but it doesn’t mean that you still can’t go on that ski trip you’ve been meaning to go to. But you can’t just hit the powder with a pair of hiking boots, a pair of jeans, and a trench coat. Aside from the physical conditioning, you’ll need to make changes to your wardrobe if you want to jumpstart your X-Games career. Here’s what you should wear to the slopes. Each sport has their own specialty footwear. If you’re planning on hiking, you’ll need a pair of snowshoes. They can be rented from the resort. If you’re looking for ski boots, brands like Nordica offer a large collection. If you’re looking to get your Shaun White on, you’re going to have to invest in a sturdy pair of snowboarding shoes to keep you on the board while speeding through the trail. For bottoms, a pair of ski pants will serve you well in every sport. They’re durable, flexible, and come in a variety of cool colors. But let’s face it, even insulated pants aren’t enough to protect you from freezing temperatures. Enter thermal underwear. While they may look the same as your favorite leggings, you’ll be surprised at how well thermal underwear does to keep your legs warm. With all the work your legs are going to do while skiing or snowboarding, you’ll end up sweating no matter how cold it is. And no one likes having soggy pants. Quality thermal underwear usually made from merino wool or silk because they allow sweat to evaporate quickly. Is there anything that thermal underwear can’t do? We all have a tendency to layer as much as we can when we’re going out during winter. When it comes to winter sports, however, too many layers will only lead to excessive sweating. You’ll also end up restricting your arms, which will affect your balance in any sport you try. For your base layer, a merino top (yes, the same material as your thermal underwear) will keep you warm and dry. If you don’t have one, a workout shirt will do just as fine. For the insulating layer, a puffer or ski jacket will keep the cold out of your system. As for the outer layer, get a water-resistant shell jacket to keep yourself safe from the oncoming snow. Skiing, snowboarding, and even snowmobiling are all enjoyed because of their speed and momentum. 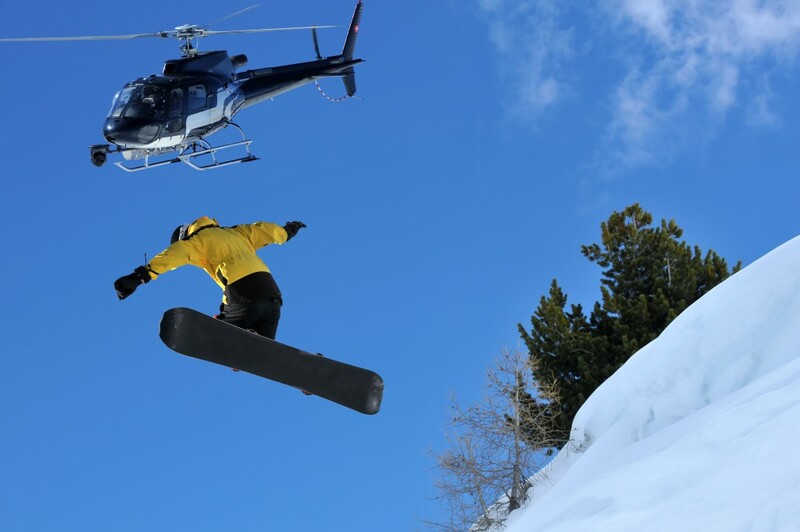 While they can excite even non-adrenaline junkies, anyone can get seriously injured even if they land on snow. This is why you should invest in a good ski or snowboard helmet and goggles to keep your head safe when you experience the occasional tumble or fall. And don’t forget to add more insulation by wearing a beanie underneath. You can never go wrong with a wool hat when it comes to keeping your dome warm. Whether you’re slipping through the slopes with your skis or feeling the velocity with your snowboard, the difference between a fun or irritating experience depends on the clothes you wear. Remember to wear the right shoes for the right sport. And a wool base layer does wonders, too. You’ll have a better time hitting the slopes when you’re warm and dry. Cosmetic Dentistry: How Important Is It?